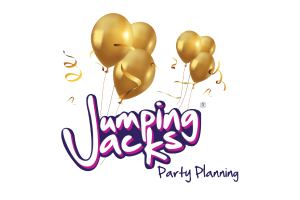 Jumping Jacks are an award-winning entertainment and events company who understand the needs of our corporate clients. Our list of services has grown to suit our clients needs and requests over the years. We are a company who have their finger firmly on the pulse of what’s hot and what’s not and evolve to stay on trend. Book Jumping Jacks, book peace of mind! Jumping Jacks understand how important your brand name is to you as well as your corporate image so we would like to offer entertainment and event packages to match that quality! For safety and insurance please click here. For risk assessments and method statements please click here. Jumping Jacks have gained an excellent reputation for providing superb entertainment for corporate events big and small. Our clients re-book our services time and time again. To ensure your party is a huge success, we dedicate your party plan to one of our event planners who will be happy to advise you of the most suitable package to suit your needs. We pride ourselves on being a National award winning company , providing a reliable and professional service, but most importantly bringing the fun along too! For a rough guide on prices and packages available, please click here. We are happy to tailor a bespoke package and arrange for a quote to be sent to you if you would rather contact us direct. Please click here for our price guide.